a power full journey: 21 Fay Fix - September Special!! 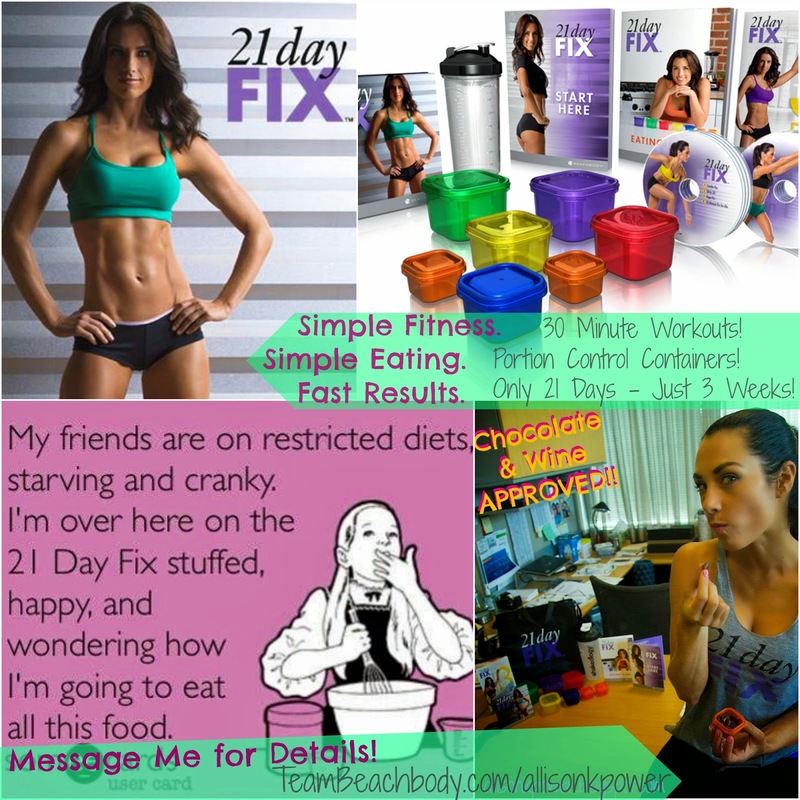 I am so excited about 21 Day Fix Challenge Packs being on sale this month! This is the program that got me completely hooked and committed to living a healthier lifestyle! I figured before I ordered it this spring that I was just going to have to get used to the new workout - but wow was I wrong - I realized with these portion control containers how much I was over eating healthy foods! No calorie counting, and you are left feeling completely satisfied! The best part is you will see FAST results, only 30 minutes a day, leaving that sluggish feeling behind! This is perfect for busy new schedules with school and football both just starting! If you are ready to get yourself on track, this is the perfect time! You will also get a free spot in the next Accountability Group, *starting Monday, Sept. 15th* - all of the motivation, support, clean eating tips & recipes that you could need, and more!